The Dark Alternative, Hard Rock Transmedia Project September Mourning have released their Official Music Video for “20 Below” off of their debut full length album, Volume II, which is out now on Sumerian Records. “20 Below” follows the continuing story of human-reaper hybrid ‘September’ through parallel story lines as she is pursued between two worlds. 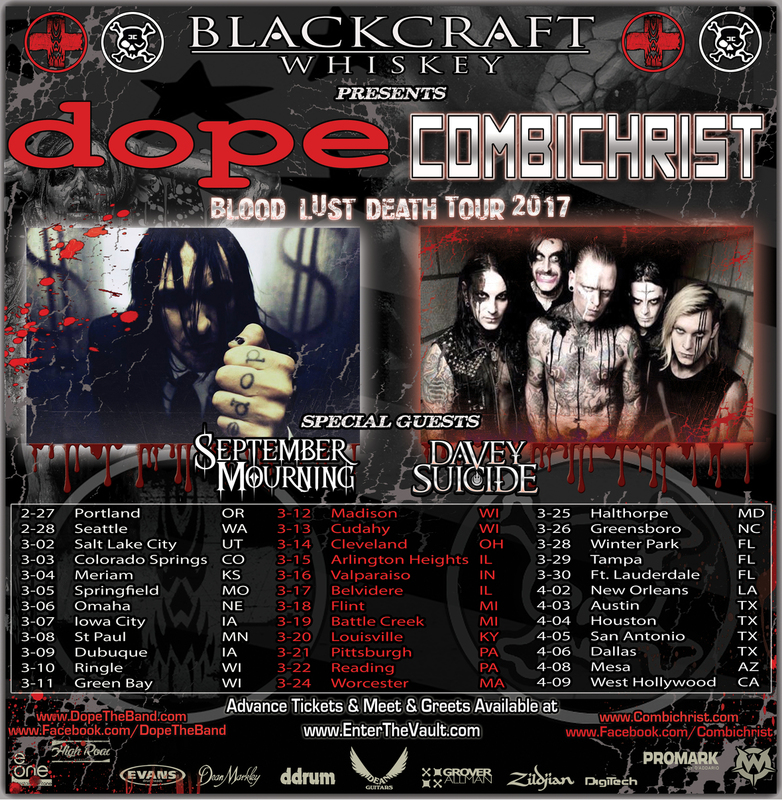 September Mourning is also gearing up to join Dope and Combichrist as direct support on their Blood Lust Death Tour with Davey Suicide opening.